Speaker stand spikes - necessary? Discussion in 'Audio Hardware' started by Porkpie, Nov 8, 2018. I’ve just had our wooden floors at home sanded and lacquered and it’s time to put the furniture back on it. My speaker floor stands have sharp spikes on the base and I don’t want to damage the new floor with them. I’ve read the spikes are there for use on carpet, if I remove them and the just have the flat bottoms of the stands sit directly on the floor, will this have any grounding issues or cause more transfer of bass and vibrations? 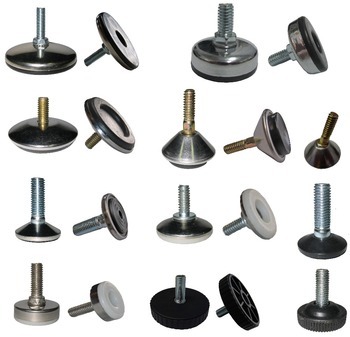 Your better option might be to place small cups or pads or bases underneath the spikes to protect the floor. They are specifically designed for this purpose and you can buy them from hi-fi shops or online. Sneaky Pete, tmsorosk, BrentB and 7 others like this. IMHO I believe that spikes are essential. I use Soundcare Superspikes below both my equipment rack and my speakers, these are very effective, fairly affordable and they don’t damage the floor. George P and Wasabi like this. After some googling I find this article that explains to couple the stands to the floor and isolate the speakers on top. I stopped use spikes many years ago. They just transfer vibrations from the speakers to the floor and also make the speakers rock in the bass region. I use soft feet. Galactus2 and SandAndGlass like this. Sharp 1080, Carter DeVries, Daddy Dom and 3 others like this. Are you referring to spikes under the speakers or speaker stands? Primarily between stand and speaker. For the stands I would use just felt pads or something similar that you use under chairs and other furniture. My Kef speakers are attached to the speaker stands with balls of blu-tac. I have a dog and a two-year old running around and I don’t trust the speakers to just stand on the stands without getting knocked off. Sneaky Pete, Minorityshareholder and Thomas_A like this. I know the situation; I use Sonic Design feet with double adhesive tape. I went to rubber feet on my hardwood floors. No problem. Mike-48, Galactus2 and SandAndGlass like this. Cheapskate. I use quarters... thinking of upgrading to silver dollars. shutdown66, action pact, tmsorosk and 8 others like this. They have small thick discs that have a "V" indentation in the center that is more stable than coins. Bill Mac, Helom and TheVinylAddict like this. They are the same pucks that come supplied with Sound Anchor stands. I've experimented with many non-marring materials and concluded these pucks result in the best sound. They create a sort of suction bond between the speakers and stand. Takes a good amount of force to "peel" the speakers off, yet they don't damage the finish in any way. They haven't left even the slightest of shadow marks on the veneer of my Spendors. My experience with most other materials is they eventually leave an imprint on the speaker finish. As for floor spikes, just experiment with different materials/configurations. I have my Sound Anchors spiked to concrete through carpet. If it weren't for the carpet I'd probably forego the spikes, or use brass spike cups. There's endless debate to this topic, but the only correct answer is whatever sounds best to you. 33na3rd, bruce2 and Porkpie like this. If you can match the thread. tmsorosk, wolfram and TheVinylAddict like this. Take a spike to your hardware store and they will be able to determine the size and pitch. My RS3 s were 6mm. And "these" can be purchased from? I'd go with the nickels. You can buy Cone Coasters, but they's spikes. Just take a nail and hammer and put a little indent in the middle if you want them centered. A good read for you. Bananas&blow, Sneaky Pete, Dan Steele and 2 others like this. I had spikes on my B&Ws with hardwood floors and they sounded worse than with (cheap) rubber furniture pads. I tried spikes with the same speakers on a concrete floor and they were atrocious: no bass! I even tried spikes with Herbie’s grounding bases/discs: good but not great. Upgraded my speakers and went with Isoacoustics GAIA footers: best sound yet. reapers, Done A Ton, Josquin des Prez and 1 other person like this. I'm not a a fan of spikes either. They scratched my tile floor and when I followed the advise to put some disks beneath it got me into thinking that the whole idea is not really working for me, especially as it made it easier for the roomba to move them around when it was bumping into them when cleaning the room. The only thing I liked about the spikes had nothing to do with being spiked and pointy. The spikes where part of an outrigger kit (actually the same or nearly identical to the one appearing in a photo appearing in the article linked by the OP) and that added a lot to the stability of the floor standing speakers. Switching to IsoAccoustics GAIA feet solved for me both the tile scratching and roomba problems. They also look better but this is a matter of personal taste. Done A Ton and SandAndGlass like this. I’m thinking I’ll just leave the speaker stands flat on the floor (they have a large base) and consider something different between speaker and stand that is also secure. Have not read everything but spikes introduce more vibration in floor and speakers due to resonance. Spikes will never put the resonance above 20 kHz, it will always be in the audible spectrum. Soft feet can move the resonance below the audible spectrum e.g. 5-10 Hz.